Making their beds: From the time they are about 6 years old, kids are coordinated enough to try doing this activity. Initially it might need a bit of secret redoing from your side, but try to make it a habit from a young age that they make their beds as soon as they get out of them. Putting things away: I was very impressed by the Montessori method where kids learn to take one activity at a time, and put it away on open shelves when they are done with it, and before taking the next one. Of course this is easier said than done at home, but with a lot of positive encouragement from your end, you will find kids learn to appreciate having a clear space to play in their room. Dusting: Those were to do with clearing up after themselves, but as they grow a bit older you can try giving them small chores like dusting, usually just in their own rooms. 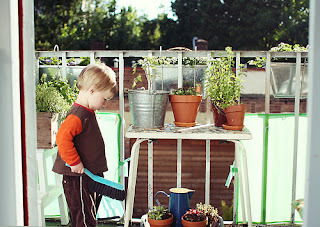 Make sure that your child doesn't suffer from any dust allergies before trying out this chore. Using the Washing Machine or Dryer: Kids love to help with small tasks such as loading washing powder in the washing machine, or helping to segregate coloured clothes and emptying the dryer. Keep young kids away from electrical outlets, but encourage them to help with tasks appropriate for their age level. Folding laundry: This can often seem like a huge task on days when you have a lot of things to do. If kids have a bit of free time, it can be fun for them to separate which piece belongs to whom, and try a bit of folding too for older kids. Vacuuming: If you have a light device that is easy to use, you can ask your teens for a bit of occasional help. They will feel much wiser to see the dust bunnies that can form under the bed, and will definitely be more aware about crumbs falling on the floor the next time they eat something.